The Broadway-bound London production of Angels in America has found its new American Joe Pitt. 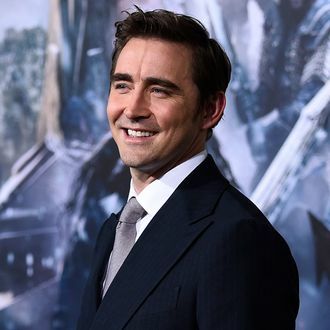 Lee Pace, best known for The Hobbit, Pushing Daisies, and Halt and Catch Fire (which you should go watch), will play the closeted Mormon character, replacing Looking’s Russell Tovey, who played the role in at the National Theatre London. The production of the landmark Tony Kushner drama stars Nathan Lane and Andrew Garfield and is directed by Marianne Elliott. Performances begin February 23, with an opening set for March 25. The play marks Pace’s second Broadway production, after he appeared in The Normal Heart in 2011, because when Lee Pace does Broadway, he wants to make you really angry and sad.